"Toturi could not quiet his own worries and thoughts long enough to fall asleep for more than an hour or so at time. It was as though he were drifting through a haze, his thoughts spiraling in on themselves, or leading nowhere at all." –D.G. Laderoute, "Tiger Stalks His Prey"
As the elements have fallen out of balance, the Lion have seen great change come to their clan, from the death of their Champion, Akodo Arasou, to the crowning of his brother, Akodo Toturi, as Emerald Champion. Now, The Unicorn have made a play for Hisu Mori Mura, taking it from the Lion. Akodo Toturi is expected to raise all banners for war, but what damage will that do for an empire already out of balance? It seems as though the elements are coming apart at the seams, and the ever-thoughtful Emerald Champion must give proper weight to every decision he makes. Amid this chaos, Akodo Toturi must face the most difficult truth of all: the change coming to Rokugan is just beginning. Fantasy Flight Games is proud to present “Tiger Stalks His Prey” by D.G. Laderoute, a new piece of fiction for Legend of the Five Rings, available here (1.5 MB)! “Tiger Stalks His Prey” focuses on the Emerald Champion Akodo Toturi and the shifting politics of Rokugan. It follows up on events from “A Swift End,” which can be found in the Elements Unbound Dynasty Pack. Legend of the Five Rings Fiction will be taking a short break, but look for the release of the Scorpion Clan Novella, “Whispers of Shadow and Steel” by Mari Murdock this fall! 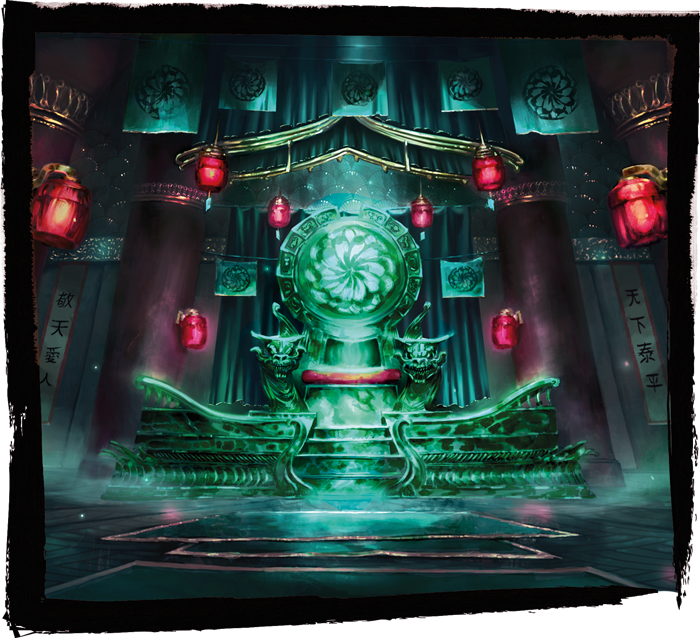 Be sure to visit the Fantasy Flight Games website for further information on Legend of the Five Rings: The Card Game and Legend of the Five Rings Roleplaying! Next Wednesday, look for the first preview of the Underhand of the Emperor Clan Pack! Prepare for change. The Elemental Cycle comes to an end with Elements Unbound (L5C14), available now from your local retailer or our website!